When the warm weather finally arrives there’s something about mealtime consisting of chilled salads. I no more like cooking when it’s hot or eating something warm. However, don’t ask me why but I still enjoy grilling. Rather than creating a lettuce salad all the time I’m especially fond of this Southwest Chicken & Quinoa Salad I adapted from my older Southwest Chicken & Rice Salad. Years ago when I first made the Southwest Chicken & Rice Salad most of us had not even heard of quinoa. Rice salads are so filling, and can leave you feeling stuffed and sick if you overdo it. Plus it doesn’t have the same nutritional content as quinoa. 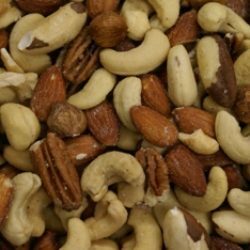 has a light fluffy texture and nutty flavor which makes this incredible grain delicious as well. When you combine the quinoa with a host of fresh grilled vegetables and some additional protein, you’ve got yourself a powerhouse of a meal. There are so many variations of salads you can create. In fact, pretty much everything goes! Think of all the vegetables you love and crave, combined with lettuce, your favorite grain, or even wrapped in a tortilla or rice paper. Pull together with a fresh and light dressing, and you’ll be on your way to new & unique salads daily. That is if you’re in the mood for a salad, everyday! My Southwest Chicken & Quinoa Salad takes no time at all to prepare. However, if you want to get a jump start on it, prepare the quinoa a day ahead or early in the day. Marinate the chicken overnight or in the morning before grilling for dinner. Then, simply get your veggies cut, slather with the dressing, and grill alongside chicken breasts. In no time your meal will be ready. If preferred, prepare a day ahead, chill, and have it ready and waiting for when you come home for dinner. 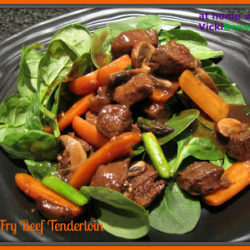 Quick, simple, nutritious, and delicious! 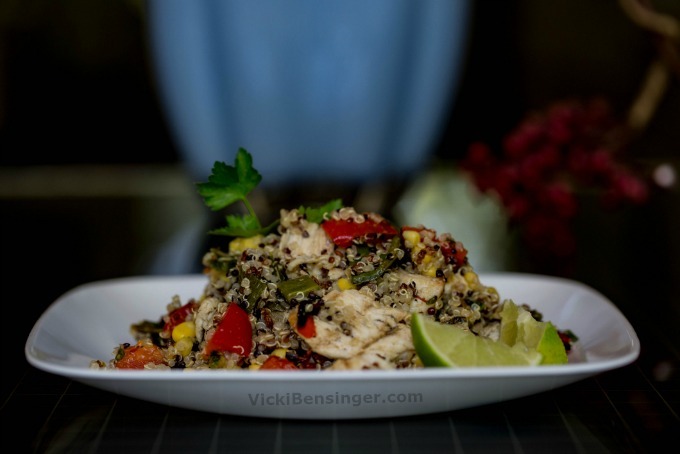 My Southwest Chicken & Quinoa Salad will have you and your guests coming back for more. Perfect for a party and ideal for an outdoor buffet. 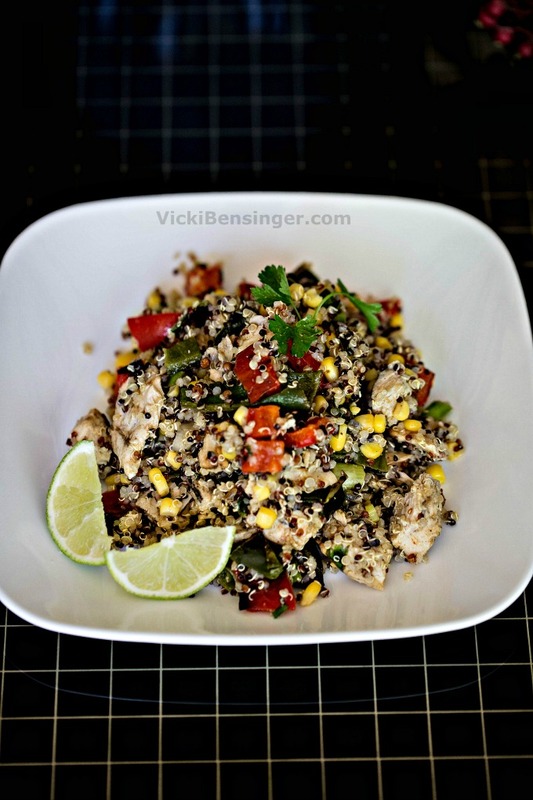 I hope you’ll try my Southwest Chicken & Quinoa Salad this weekend! 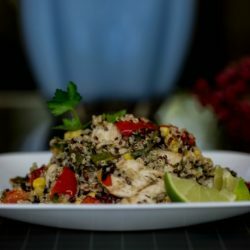 Try this Southwest Chicken & Quinoa Salad for a healthy, nutritious and Powerhouse entree' or side dish. Perfect straight up on a plate or wrapped in a tortilla or rice paper for on the go! Place 1 cups quinoa and 2 cups water (or according to package directions) in a pot and cook until done following instructions on package. Remove from heat. Transfer quinoa to large bowl; fluff with fork. Pour 1/2 cup dressing over warm quinoa and toss; let cool. 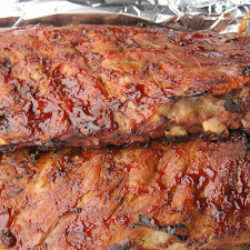 Prepare barbecue (medium heat). Place chicken on grates & grill chicken and vegetables (use a vegetable grate) until chicken is cooked through (approximately 4 minutes per side depending on thickness) and vegetables are tender and slightly charred. Cut cooked chicken, peppers and chilies into cubes. Cut corn off cobs. 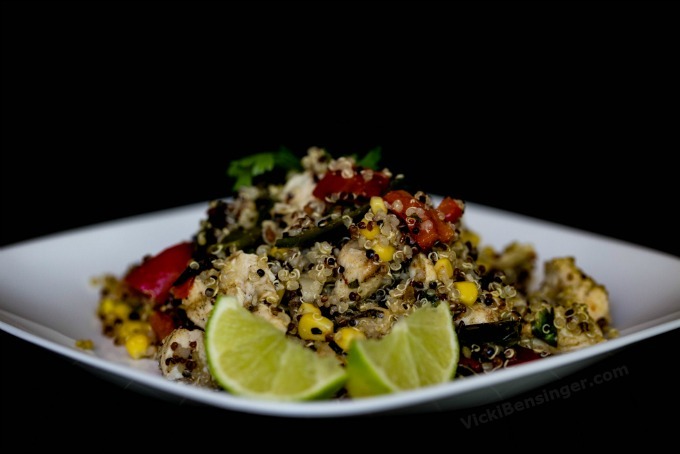 Add chicken and vegetables to bowl of dressed quinoa and toss again. Season to taste with salt and pepper. Divide salad among 6 plates. Sprinkle with remaining 1/4 cup cilantro and serve. 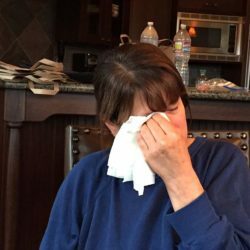 Removing corn kernels from the cob can be messy—they like to bounce off the cutting board and end up scattered all over the counter and floor. To keep those kernels in their place, insert the tip of the ear of corn into the center hole of a Bundt pan. Cut the kernels away from the cob in long downward strokes, letting them fall into the pan. (see photo in my earlier post about this recipe) Alternatively use this OXO Good Grips Corn Peeler (a favorite of mine) for foolproof way of removing raw or cooked corn from the cob! Chipotle chilies canned in a spicy tomato sauce, sometimes called adobo, are available at supermarkets in the mexican foods or ethnic sections. Southwest Chicken & Quinoa Salad is ideal served with fresh fruit and tortilla chips. Perfect to bring for a BBQ. Leftovers the next day are convenient rolled up in a tortilla for lunch or if on the go! Use any grain you prefer with this dish, or doctor up with your favorite veggies. We love it just like this. Quinoa - it's important to rinse quinoa well to remove the naturally occurring saponin (which wards off insects), otherwise can cause a stomach ache. Chipotle? Say no more! Love the stuff. Bet it gives a wonderful flavor boost to this healthy and totally tasty looking salad. Thanks! This is exactly the kind of summer dinner I love! Plus, I’d make sure I made a double batch so I’d have loads of leftovers for lunch! It looks so very flavoursome and packed with healthy protein! I can’t explain how much I loved this dish. It is really very delicious. All must try it even once.. It is really very tasty..